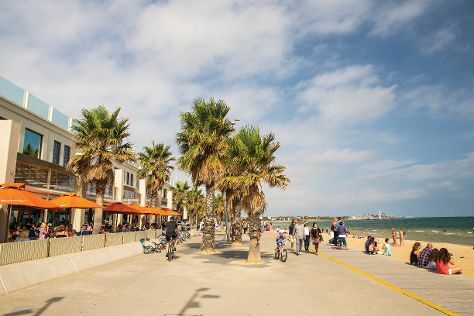 Your itinerary includes some good beach time at St. Kilda Beach and Half Moon Bay. Melbourne Museum and Old Melbourne Gaol are good opportunities to explore the local culture. Explore the numerous day-trip ideas around Melbourne: The Great Ocean Road (in Torquay), Y Water Discovery Centre (in Yea) and Moonlit Sanctuary Wildlife Conservation Park (in Pearcedale). Spend the 1st (Fri) wandering through the wild on a nature and wildlife tour. There's still lots to do: admire the natural beauty at Royal Botanic Gardens, identify plant and animal life at St Kilda beach, enjoy unforgettable views with a balloon tour, and immerse yourself in nature at Warrandyte State Park. For maps, other places to visit, reviews, and other tourist information, read our Melbourne trip itinerary builder website . If you are flying in from Vietnam, the closest major airport is Melbourne International Airport. Expect a daytime high around 32°C in January, and nighttime lows around 17°C. Wrap up your sightseeing on the 9th (Sat) early enough to travel back home.